Minor problems with the shape, size or color of your teeth can have a significant effect on how your smile looks. Dental bonding can often correct gaps, cracks, chips and more. This cosmetic dental procedure can slightly alter the structure of your tooth with a tooth-colored resin that is fixed to your problem tooth to restore your oral health and create your desired look. If you suffer from a misshapen, cracked or chipped tooth, contact Contemporary Dental Health today online or at 503-636-4069 to schedule an appointment with experienced cosmetic dentist Dr. Keith Ogawa. Our state-of-the-art office happily welcomes patients from across Oregon, including Lake Oswego, West Linn, and Nearby Portland. Dental bonding is a restorative procedure in which a composite resin is bonded with a damaged, misshapen or discolored tooth and cured with an ultraviolet light. Dr. Ogawa matches the color of the resin to your natural tooth color for a seamless, natural-looking appearance. After preparing your tooth’s surface, Dr. Ogawa will mold the resin and secure it in place. He will then adjust the bonding material as needed to achieve a natural fit, feel and look. There are a number of cosmetic dental treatments that can address a variety of tooth imperfections. The best way to determine if dental bonding is the right solution for your problem is to meet personally with Dr. Ogawa. He will evaluate your condition, explain all of your treatment options and recommend the procedure that best suits your dental needs. 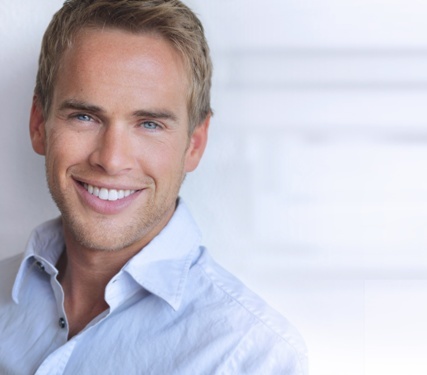 Cost: Bonding is an affordable alternative to more comprehensive procedures such as porcelain veneers. Comfort: The dental bonding procedure is completely comfortable and pain-free. Anesthesia is typically unnecessary. Convenience: Some cosmetic and restorative dental procedures, such as dental implants, require repeated appointments and weeks of waiting. Dental bonding can usually be completed in an hour for each tooth. Care: A tooth that has undergone dental bonding does not require any special maintenance. Simply brush and floss twice a day and maintain regular check-ups to keep your teeth clean and healthy. It is important to note that while bonding is more affordable than other options, it is also less durable and resistant to stains than other restorative alternatives such as porcelain crowns. This is why bonding is appropriate for minor touch-ups and not major restorations. While the composite resin material is strong, it is still susceptible to chips and cracks. Avoid biting down to forcefully or chewing things that are too hard. This includes habits like fingernail biting and pen cap-chewing. To learn more about dental bonding and your candidacy for the procedure, call Contemporary Dental Health today at 503-636-4069 to schedule a consultation with Dr. Ogawa. We serve the Lake Oswego, West Linn, and Portland areas of Oregon.